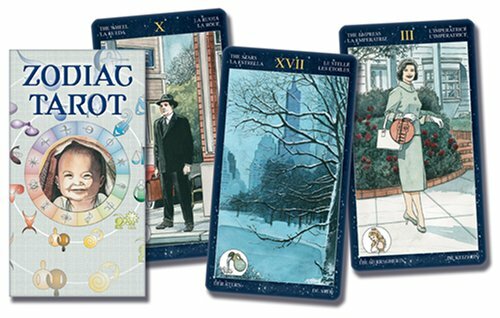 Weekly Tarot 4/21: Do Your $%*#! What’s coming up for next week? As usual, I’ve got some advice! Short version: The reward goes to the responsible. Sorry! But getting it done, well…gets it done! Feels good to check off the list. You have a long to-do list? In “Crossing” influences, we have The World. Responsibility, and particularly doing what you know is right I expect to be a driving force today. Maybe nobody else would know if you half-assed it. But YOU would know. Do it once. Do it right. I don’t know exactly why, but I’ve got this feeling that those that don’t put in the effort now are going to have that deficit come back to visit. Saturn types, you’re sitting pretty. Everybody else? Emulate! Are you focused on “getting it right” about now? I was very surprised when I discovered the World is associated with Saturn. The World is, in a nutshell, a story’s end, telling the tale of mastery, overcoming adversity and marking completion. Even in this “behind-the-scenes” deck, you can pretty much make out the various representations in each of the corners. Depending on whom you’re consulting, this can represent the four fixed signs in astrology (human/Aquarius, lion/Leo, ox/Taurus and eagle/Scorpio), the four evangelists (Matthew, Mark, Luke and John), or the four elements, with a distinct nod to the description of God’s throne thrown in (Revelations 4:7). Ha! Any way you read the symbolism though, you’ve got completeness; a sense of utter, eternal completeness sums up the World. The World card being at the end of the Major Arcana isn’t by accident, after all. It marks the conclusion of the Fool’s journey, where the fool returns home/dixiblog/domains/afoolsjourney.com/public_html to integrate all he learned along the way. This card is a blessing, but with an asterisk: ALL gifts of the World—and some are mighty nice—are well-earned. The Wheel may shower random surprises upon the undeserving, but the World only rewards those who earn what they get. This is more or less the feeling I’ve got about the year coming up. Between the video year-ahead forecast (eek!) and the Zodiac 2014 forecasts I’ve been doing for clients, I’m finding 2014 to largely demand a whole lot of work, albeit highly productive work. So I’m thinking this card is exactly what you can expect in 2015 IF you play 2014 right. Study, work hard, and earn your pay. Be a grown up; do what needs to be done. Offer something in exchange for what you receive. Apply yourself with the intention of getting things right. This is a “no shortcuts” kind of day. It may be a little sober, but it’s definitely satisfying! Can you see the need for the World’s energy around you? I never have any trouble picturing Saturn as an old man. And old man Saturn is the astrological association for the World card. When I first learned this fact, it surprised me. Why Saturn? The World card is a happy one, and few of us feel happy about Saturn’s presence! The letter represents a completion, a synthesis of all the other letters. The shape of the Tav is made up of two other letters, דנ Daleth–Nun which spells “Dan” in Hebrew, meaning judgment. It’s a stamp of completion, judgment as outcome of cumulative action. It encompasses all that went before. And the World is the culmination of the Fool’s Journey. Diploma time! Considering this, Saturn makes sense as the card’s planetary companion. Old man Saturn asks, “What have you learned? What diploma have you earned?” It would be a great day to review accomplishments. If you feel you’ll fallen short in areas, fair enough. Look for the lessons. No sense wasting screw-ups! But there’s a good chance you’ve made more ground that you may realize in other areas. Give yourself credit for all the questions you got RIGHT. Because the finals are in and it’s time to assess. Are you feeling the hand of Old Man Saturn? Happy Husband and his wife can rest easy. They’ve hit the fallout shelter before the world ends.They are positioned as well as anyone can be for a global zombie apocalypse. And how do you think they got to that shelter in the first place? It wasn’t just random chance they stumbled upon a fully stocked fallout hideout at just the right time. It was built quite deliberately, with foresight, hard work and sacrifice, all while the neighbors made fun. Planning claims the final laugh. The World is Saturn ruled: it would have us doing the right thing, covering our bases, mastering relevant skills and doing our home/dixiblog/domains/afoolsjourney.com/public_htmlwork. In fact, in earlier stages of development, the World type approach may not be entirely appealing. It would have been a lot more fun for the Happy Husband and Wife to spend their Saturdays puttering around than stocking the shelter. But who can rest easy now? Are you preparing for the future? Whether it’s via birth chart or by transit, Mercury-Saturn aspects can be an absolute bear to deal with when trying to communicate. Here are some quick tips from a Mercury-Saturn native! 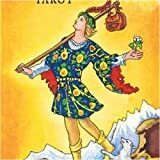 Short version: Consciously express Saturn qualities in your communication (or thinking, or whatever Mercury-related realm) to satisfy the old man like integrity, hard work and responsibility–and you’ll be spared the sting of the less comfortable expressions of Saturn. Are you familiar with Mercury-Saturn combinations? What do you find works?